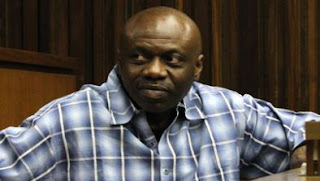 Another prosecution witness yesterday said Henry Okah gave instructions for the October 1, 2010, twin car bombings in Abuja. The witness said he was a member of the Movement for the Emancipation of Niger Delta, MEND, having joined the group in 2006. The third prosecution witness, who simply introduced himself as Stanley at the ongoing trial of Okah at the South Gauteng High Court in Johannesburg, South Africa, said Okah gave instruction for the attacks in Abuja during the independence anniversary celebrations. Stanley told the court that he was introduced to Okah in 2006 and was instructed to always refer to Okah as “Master”. He said: “I overheard Okah on numerous occasions discussing the purchase of weapons and in 2007 he contacted me asking me to pass a message to other leaders to do whatever it takes to get him out of jail. His wife, Azuka also planned to kidnap the Angolan Ambassador in Nigeria to bargain for his release,” Stanley said. He said in January 2010, Okah instructed him to get an empty apartment he wanted to use to assemble car bombs. Answering prosecutor’s question about whether he had knowledge of the October bombing, he said he knew about it two days before it happened. “A friend, Raphael Danfebo, told me Okah wanted to carry out the terror attack and gave instructions for two cars to be sent to Abuja on October. 1,” Stanley said. Okah is facing 13 counts charge of terrorism, planning and financing car explosions.